New Delhi: Two independent members of the National Statistical Commission, P C Mohanan and J V Meenakshi, have resigned over disagreement with the government on certain issues. The tenure of Mohanan, the acting chairperson of the autonomous body, and his colleague Meenakshi was to end in June 2020. They joined as members in June 2017. “I have resigned from NSC. We thought that the commission is not very effective now a days and we also thought that we are not able to discharge the commission’s responsibility,” Mohanan told PTI. The NSC, under the Ministry of Statistics and Programme Implementation (MoSPI), is to have seven members, as per its website. Already, three posts were vacant. Reportedly, these two members are said to have resigned over disagreement with the government on some issues, an official said. According to a report in The Indian Express, the two officials resigned in protest against the withholding of the NSSO’s (National Sample Survey Organisation) first Annual Survey on Employment and Unemployment for the year 2017-18, which contains data on job losses in the wake of demonetisation. “The normal convention is that NSSO presents the findings to the Commission, and once approved, the report is released within the next few days. We approved the NSSO survey on employment/unemployment in December beginning. But the report has not been made public for almost two months,” Mohanan was quoted by The Indian Express as saying. “Over a period, it was noticed the government does not take the NSC seriously. NSC was kept out while key decisions were taken. We were unable to effectively discharge our duties,” he added. With the move being questioned, the Ministry of Statistics and Programme Implementation clarified that it was “processing” the quarterly data and the report would be released after that. It also said the two members had never voiced their concern in the past few months. 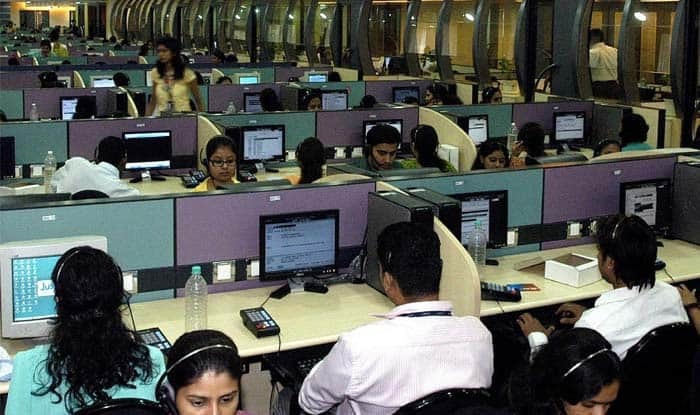 “Keeping in view India’s strong demographic dividend and around 93 per cent of the informal workforce, it is important to improve measures of employment through administrative statistics and complemented by periodic surveys,” the ministry said in its statement. Senior Congress leader P Chidambaram targeted the government over the resignation by the two NSC officials. “May the NSC rest in peace until it is re-born again! We mourn the death of the National Statistical Commission and remember with gratitude its valiant fight to release untainted GDP data and employment data. One more venerable institution died on 29 January 2019 owing to malicious negligence by the government,” he tweeted. In November, the NITI Aayog had announced back series data or “revised” GDP data under the previous Congress-led UPA rule.